Click the button below to add the Roccat Nyth White Modular MMO Gaming Mouse (ROC-11-901-AS) to your wish list. Nyth's near boundless customization extends its use far past the competition. No matter the genre or taste, Nyth's 3D printed catalogue of side-parts and buttons joined with an expertly engineered foundation combine to make a revolutionary device that serves the imagination, creativity and high standards of gamers today. Let the Nyth be your unique fingerprint in gaming. The Nyth features an evolutionary modular thumb zone where you can individually place up to 12 tactile mechanical buttons. Completely flexible, buttons can interchanged easily to suit your gaming needs. 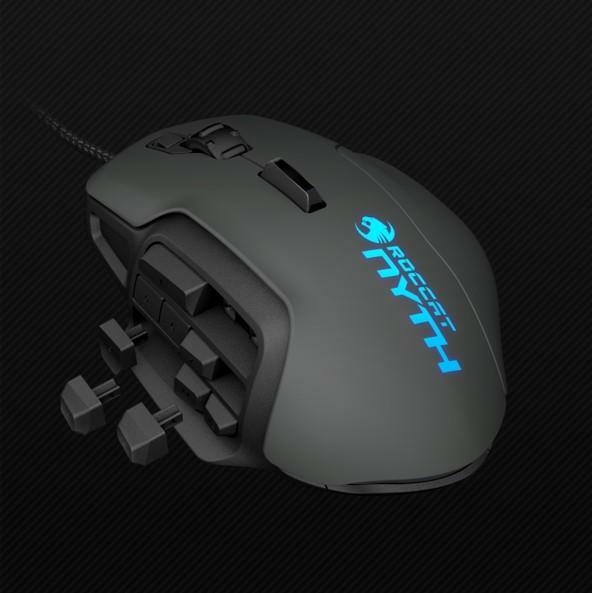 The Nyth is a chameleon which can be easily transformed from a MMO mouse into a FPS or MOBA mouse. No matter whether your style is chilled out palm grip or action packed claw grip, the Nyth has your back. With two super ergonomic hot swappable side grips, you can mix it up on the fly. 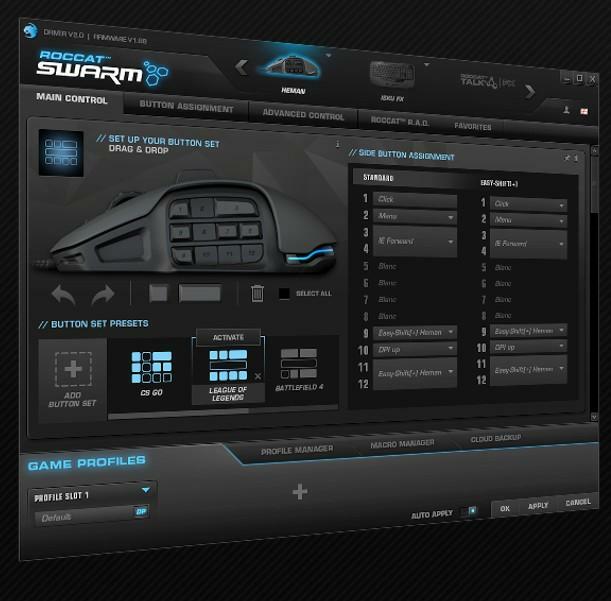 Swarm is the software incarnation of Roccat's future-ready philosophy. It`ll cover you for all relevant gaming platforms and devices. It`s the next-gen system that keeps on top all games, apps and Roccat products in one place. The Nyth is optimized for 3D printing. The gamer can design his own buttons or simply use the 3D print library from roccat.org. This make the product perfect customizable for all kind of gamers and game genres. Nothing else but future-ready. Nyth meets the demands of MMO play with deep button modularity, that fluidly transitions into a MOBA or FPS master tool with ease. Nyth's near boundless customization extends its use far past the competition. No matter the genre or taste, Nyth’s 3D printed catalogue of side-parts and buttons joined with an expertly engineered foundation combine to make a revolutionary device that serves the imagination, creativity and high standards of gamers today. Let the Nyth be your unique fingerprint in gaming. The Nyth features an evolutionary modular thumb zone where you can individually place up to 12 tactile mechanical buttons. 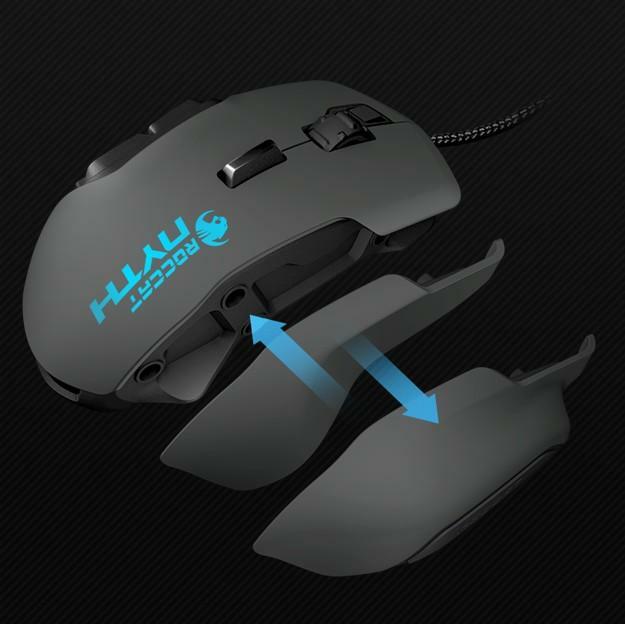 Completely flexible, buttons can interchanged easily to suit your gaming needs. 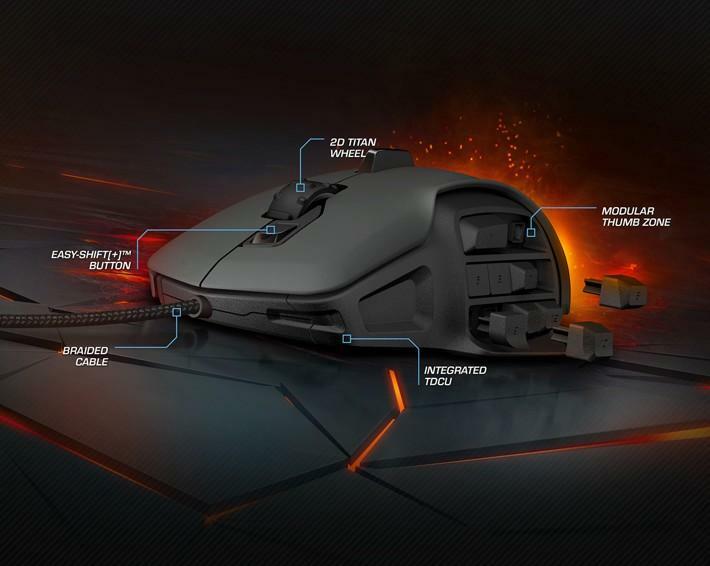 The Nyth is a chameleon which can be easily transformed from a MMO mouse into a FPS or MOBA mouse. No matter whether your style is chilled out palm grip or action packed claw grip, the Nyth has your back. With two super ergonomic hot swappable side grips, you can mix it up on the fly. SWARM is the software incarnation of ROCCATs future-ready philosophy. It`ll cover you for all relevant gaming platforms and devices. It`s the next-gen system that keeps on top all games, apps and ROCCAT products in one place. The Nyth is optimized for 3D printing. 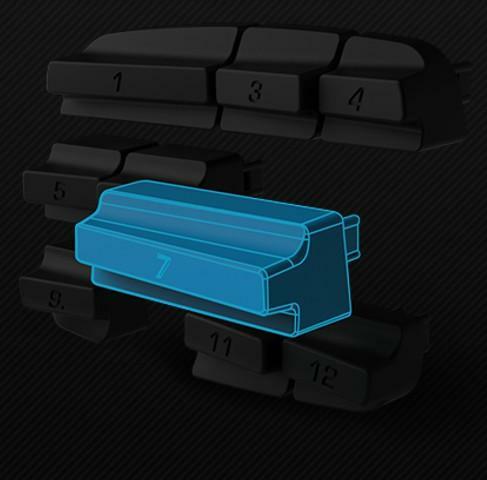 The gamer can design his own buttons or simply use the 3D print library from roccat website. This make the product perfect customizable for all kind of gamers and game genres.